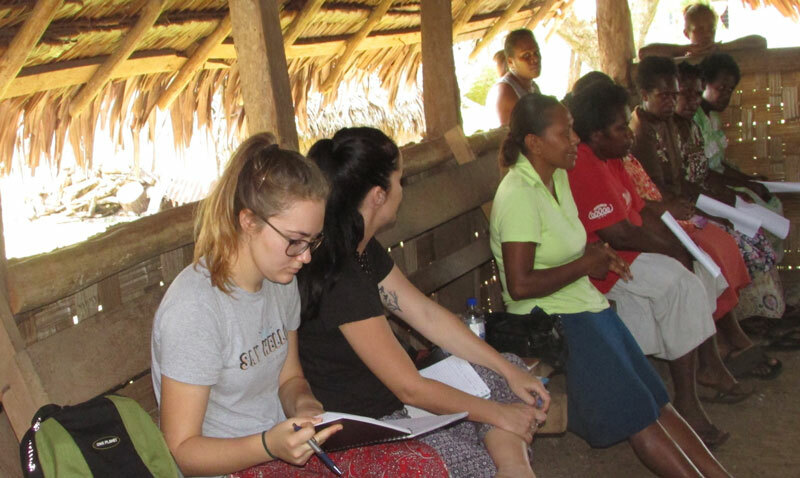 Thanks to the Crawford Fund in Queensland, University of Queensland student, Fynn De Daunton travelled to Vanuatu on a two-week research trip. 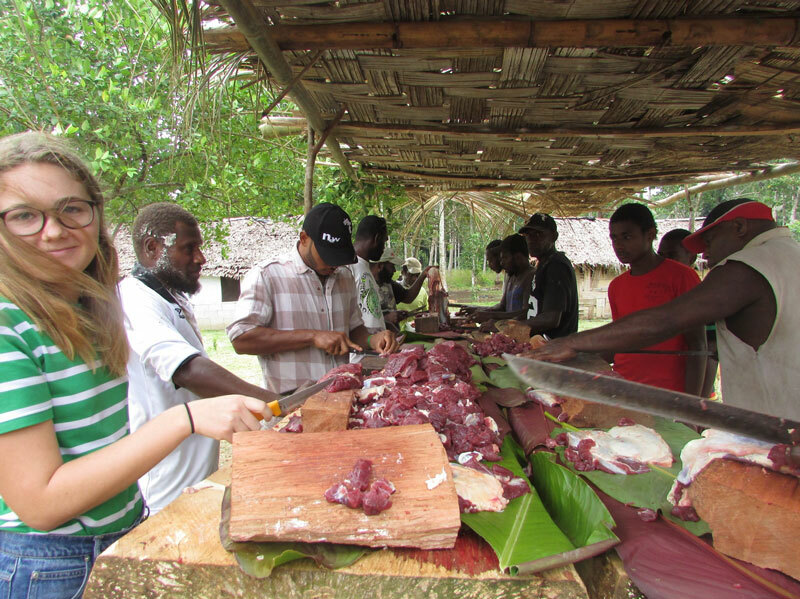 Researching the impact of ceremonial cattle use on commercial cattle production in North East Espiritu Santo (East Santo), Fynn travelled around the region with an ACIAR team researching productivity and market options of smallholder beef cattle farmers in Vanuatu. In East Santo, cattle are a major economic activity and feature in all ceremonies. While it’s known that cattle play an important role in ceremonies, in addition to their economic significance, the details of these ceremonies and the impact on the commercial market remain largely unknown. Fynn’s research in Vanuatu aims to provide insights into the use of cattle in ceremonies in rural and urban areas of the region as it’s likely to have a significant impact on a range of social and policy issues, including rural livelihoods, cattle production systems, the national herd and food security/price considerations, the availability of cattle on the non-ceremonial (commercial) market and therefore industry. However, the nature and extent of this impact is largely unknown, with most discussions on these issues are based on assumptions and anecdotes, and not documented. During her time in East Santo, Fynn conducted 14 interviews over 13 days of fieldwork, as well as participating in cattle weighing and attending women’s group meetings as part of the ACIAR research project. Following her time in the region, Fynn’s research found that a large number of cattle are entering the ceremonial channel, and this has a large impact on beef cattle production in Vanuatu, with funerals, weddings and church events the most common ceremonies with the greatest use of cattle. Due to region and household circumstance, there is however high variation in the data in the number and type of cattle used for funeral and wedding ceremonies and in the proportion of cattle entering the ceremonial market compared to the cash market. Women’s group meeting in Port Orly. Fynn added, “I would like to sincerely thank the Crawford Fund, as I would not have been able to conduct this research without them. The financial support received allowed me to remove the monetary barrier and explore this area of interest. I would also like to thank my supervisors Dr Scott Waldron and Dr Cherise Addinsall for their support and guidance throughout all stages of this project. I would also like to thank the team in Vanuatu working for the ACIAR project Increasing the productivity and market options of smallholder beef cattle farmers in Vanuatu (LPS-2014-037). In particular Antoinette Nasse who helped me immensely when it came to navigating cultural factors and logistics during my time in Vanuatu. Fynn’s trip to Vanuatu is part of our efforts to support and encourage young Australians in study, careers and volunteering in international agricultural research, our International Agricultural Student Awards from Crawford Fund State Committees will be supporting 14 Australian tertiary students to gain international agricultural research experience and expertise.